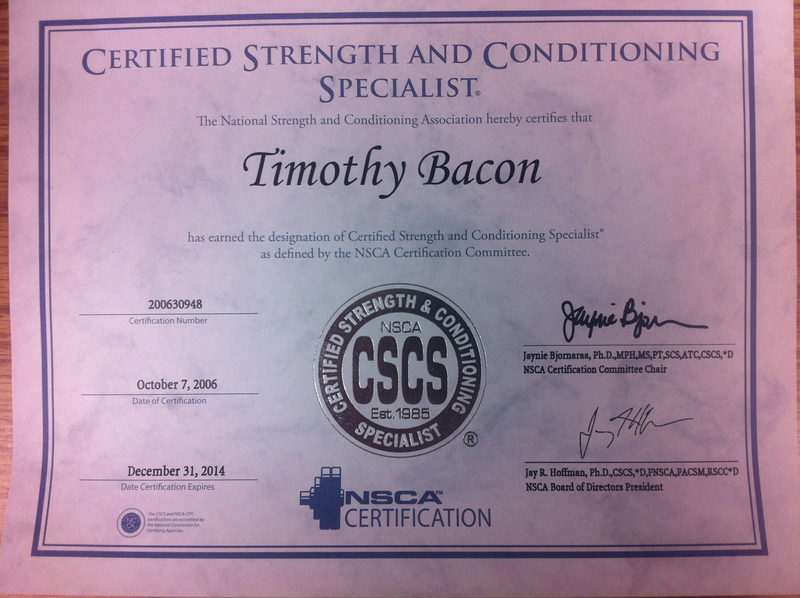 Squash Scientist Recertifies NSCA Strength & Conditioning Specialist Credential! As the clock struck 12 midnight on December 31, 2011, I completed the last of the six CEUs (Continuing Education Unit) that I needed to keep my NSCA Certified Strength & Conditioning Specialist certification current – updating me until December 31, 2014. A few weeks later I got my certificate in the mail – it’s only my iPhone that makes it look pink – it’s actually a nice blue-tinged parchment color. Medicine Ball Training Implications for Rotational Power Sports (we could include squash in here). I think the idea of recertifying or being obliged to stay current is a good one – although it is a bit of a hassle. Although I have, and have had, a number of certifications (Squash Canada, U.S. Squash, WPSA, Racquetball Canada, Tennis Canada, Canadian Mental Training Registry) except for the NSCA, only Tennis Canada has a recertification policy in place. One of the difficulties of being a multi-talented coaching consultant is that keeping up with all the professional memberships and professional development can be quite onerous – I finally had to let my Tennis Canada Coach 3 Certification lapse, as I do not actually coach tennis that much any more. In addition to the racquet sport coaching and strength certifications, I am also a member, and so pay dues to the Association of Applied Sport Psychology (a charter member since 1987) and FEPSAC (European Federation of Sport Psychology). One very useful aspect of the CSCS certification is that it means, unlike other U.S. College Squash Coaches (since I am the only coach who has their CSCS), I can strength train my players when they are out of season – a pretty big advantage. Here is a summary of the current NCAA Division III rule changes that describe this advantage. The odd thing is of course, is that in the squash world, the public, coaches, Athletic Director’s, and employers pay very little attention to educational credentials and tend to prioritize current playing ability and or in the case of coaches, the ability of their athletes. I am sure John White would not like his coaching to be rated on the ranking of his Drexel University Women’s squash team (his new job), nor would Geoff Hunt appreciate a rating of his coaching based on his current playing ability (let’s be generous and say a “B” level – pretty good for a 65-year old) or the world ranking of his Qatar athletes? Coaches should actually be rated based on logical, scientifically based criteria – which would usually mean a combination of items including observation by trained observers, and some sort of oral or written exams, as well of course as some sort of athlete input – as well as concrete results. One of the purposes of this blog is to encourage people to think a little more deeply about coaching – certainly to look a little beyond the current player rankings. It is holiday time in most of the world, and for most squash players, so getting out of squash shape (or staying in good squash shape) is a concern for most committed players – no matter what level they play at. To help squash coaches understand detraining (click this link for a concise summary) I am going to go over a real example from former Smith College Squash Team. Our last team practice was on Thursday, December 15 – and we start up again practicing twice a day on Monday, January 9th – so a break of 24 days! I don’t in fact use the term “break” – I use the periodization term “transition”, which is actually more descriptive of what should occur during this period – activities that bridge the gap from one part of our season to another (here is the link to our team’s periodized annual plan). The short transition period that occurs between two halves of a season does differ from the end-of-season transition period of 4-6 weeks where primarily cross-training activities should occur. De-stress to prevent burnout and staleness. For a college athlete it is difficult to completely separate athletic and academic stress. Although squash can be a source of relaxation during a busy semester (remember squash in the U.S. is played a highly challenging academic schools – Smith College being right up there with the Ivy’s), training and playing 12-16 hours a week must be taken into account when calculating the overall stress load. My team started practicing before any other college team in the U.S. (Sept.12) and the five tennis players on my team were practicing tennis two weeks prior to that (they joined us in the last week of October) – and this year, exams went right up until December 22. Maintain squash skills and tactical memory with no access to squash courts. Most of the players on my team learned their squash at Smith, and so are not usually from “squash communities” – only one actually has access to courts through a family membership – and two are international students staying on campus (gym is closed??). Maintain physical shape to prevent performance loss and injury upon resuming practice. January is actually our training period (Competition Period in periodization lingo) with our highest training volume – 20-30 hours a week during the no-classes interterm period. NCAA Rules state that all “out-of-season” training must be voluntary, with no coach supervision (e.g., training logs, etc.) allowed – another example of how NCAA rules negatively effect athlete well-being (read more about that here). Since squash physical performance involves both “endurance” qualities (aerobic and anaerobic endurance) and “strength” related qualities (power, agility, strength-endurance), the minimization of detraining for both must be taken into account. 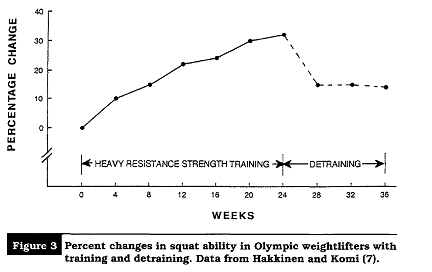 The Pfitzinger chart summarizes the endurance detraining process and here is a great link that discusses losses in strength – along with a graph of squat training/detraining – somewhat relevant to squash. Despite the fact that loss in both endurance and strength performance can range from 10-20% , the good news is that physical losses can be minimized and physical shape substantially maintained with two, high intensity workouts a week. This means two very tough squash matches against an opponent of equal ability – or, two 20-minute high intensity aerobic workouts (at least 80-85% of HR max – preferably a variety of short intervals with a 1:1 or 1:1/2 work:rest ratio to mimic the requirements of squash – for example “ghost” 15s :rest 15s or ghost 30s : rest 30s) and preferably on separate days (or prior to the aerobic workouts) to minimize “physiological interference” (I just coined this term:) two strength workouts (of the same type and level of intensity that was being performed prior to the “break”). Without access to squash courts, squash technique and tactics can be maintained through 2-3 visualization sessions of 15-20 minutes a week. A similar amount of watching squash videos on YouTube should help as well without overloading the college athlete on their Winter Break. 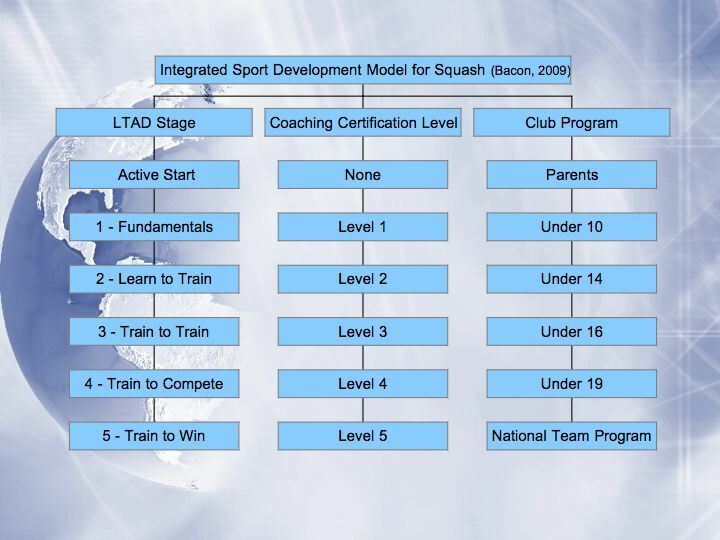 Please feel free to download and use a summary of my Using Imagery to Support Advanced Squash Tactics presentation at the 2005 Squash Canada Coaching Conference: Squash Tactics Visualization (Bacon, 2005). It contains some imagery worksheets. 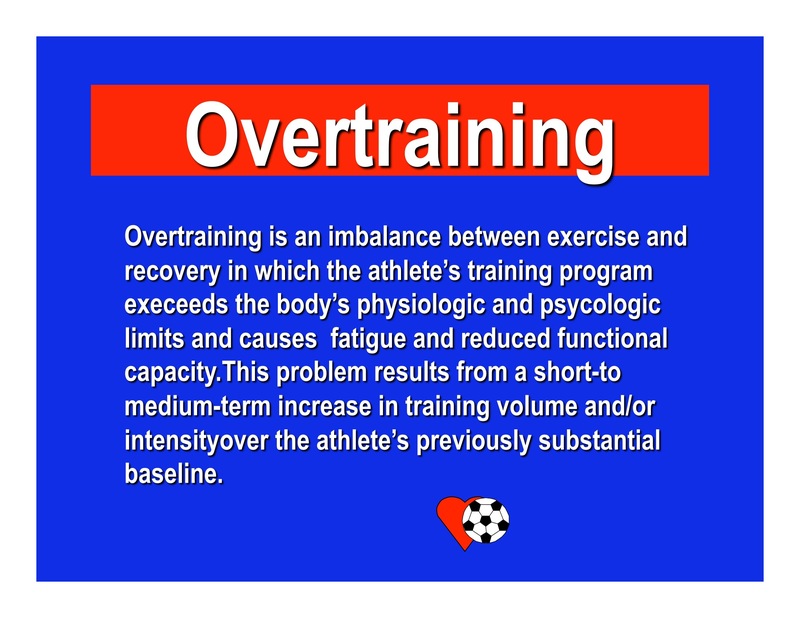 Avoid Overtraining Your College Squash Team! My college squash team at Smith College is currently the only U.S. College Squash team practicing and training. According to NCAA Rules (after August 1st squash will no longer be an NCAA sport) each team is allowed an official season of 19 weeks, with 15 days of competition (the rules do vary slightly for Division I and Division III teams), and with careful planning (paying attention to overtraining) college coaches can increase the time period in which they are able to influence their athletes’ training. Unbelievably, the NCAA forbids coaches from conducting developmental activities with athletes outside of the official 19-week season – especially difficult to comprehend in the many sports (like squash) where athletes do not attain their optimal performances until their late 20’s. With the U.S. College squash season just ending (for most:) at the Individual Championships on March 6 – now is the time that College squash coaches should be turning their attention to planning out the 2011-12 season. 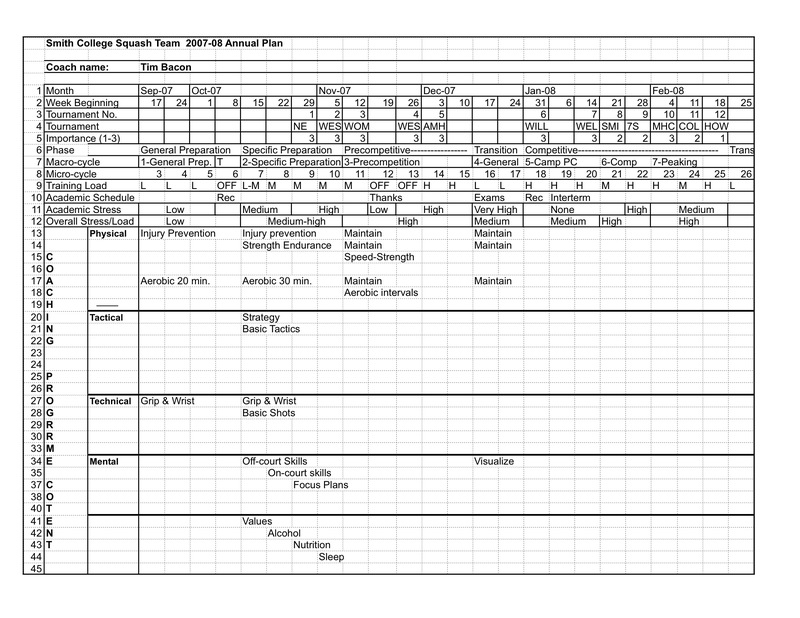 Hopefully coaches will be mindful of longterm planning considerations and use a periodization planning approach to structuring their annual or seasonal plan. 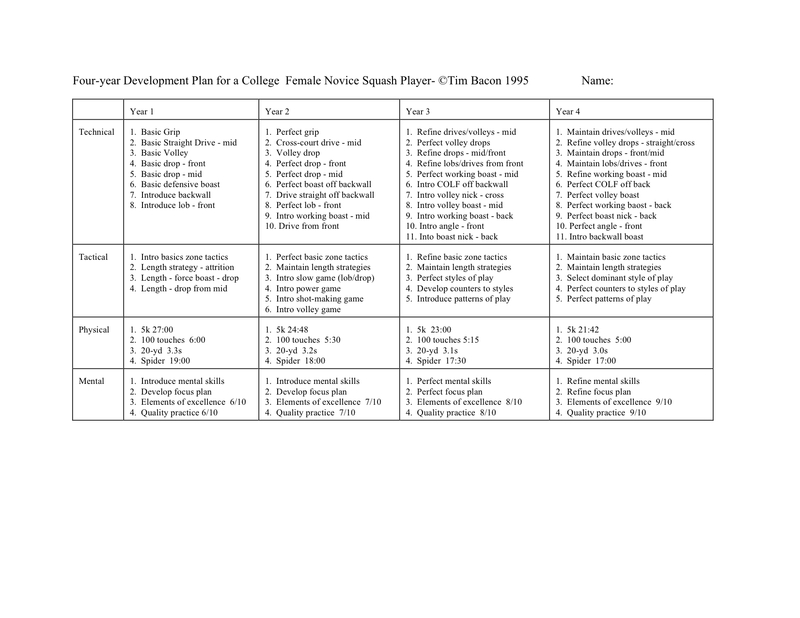 Here is a copy of our Smith College Squash Team Four-Year Plan (we get a lot of novices and very few experienced players) and also an example of an annual periodized plan. One of the primary purposes of a periodized squash plan – in addition to assuring a peak at the most important competition of the year – is to avoid overtraining (other related terms include staleness, overreaching or unexpected underperformance syndrome). Although training volume and intensity are the most important factors to control in avoiding overtraining, a college coach must also take into account a student-athlete’s academic schedule and their related academic stress. end of semester papers and exams. Lack of sleep due to studying, and poor nutrition (rushed eating, missed meals, unhealthy snacking and excessive caffeine consumption) are also contributing factors to the “psychological” load of academic work. 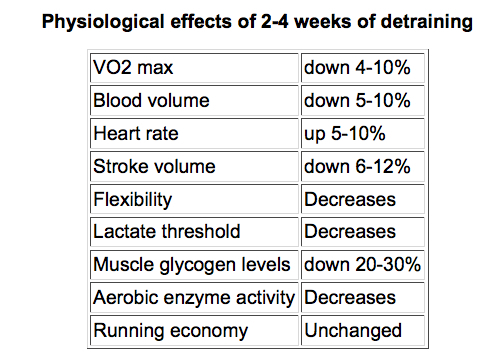 This contributes to the imbalance in the training-recovery cycle. 1) Build periods (days and weeks off) of recovery and regeneration into the team’s competitive schedule. If there is a college holiday (e.g. MLK day) we take the day off and do not practice. If there is a college holiday of a few days – we take the entire week off and add the “extra” week either to the start or end of our schedule (this year it was the end – next year it will be the beginning). Ideally, we try and construct our macro-cycles (planning units of 4-6 weeks), so that we build volume and or intensity for three weeks – then have an easier “unloading” week (e.g., Bompa, 2009; Sleamaker, 1989). 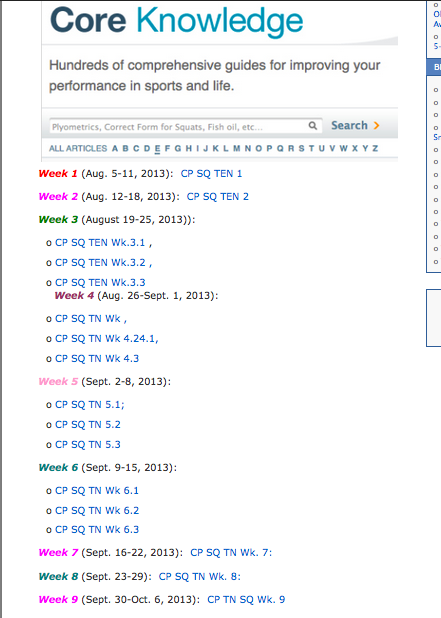 Here is the draft of our season schedule next year showing weeks of built around the Smith College academic calendar. 3) The last strategy simply involves closely observing the team for signs of fatigue, injury and attention, and watching their response to training exercises and being ready to modify practice plans or a week’s schedule (including giving unplanned days off) on short notice. 1. 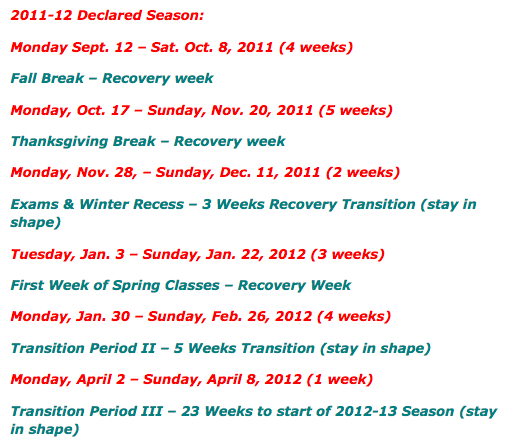 Plan rest and recovery into your season schedule. 2. 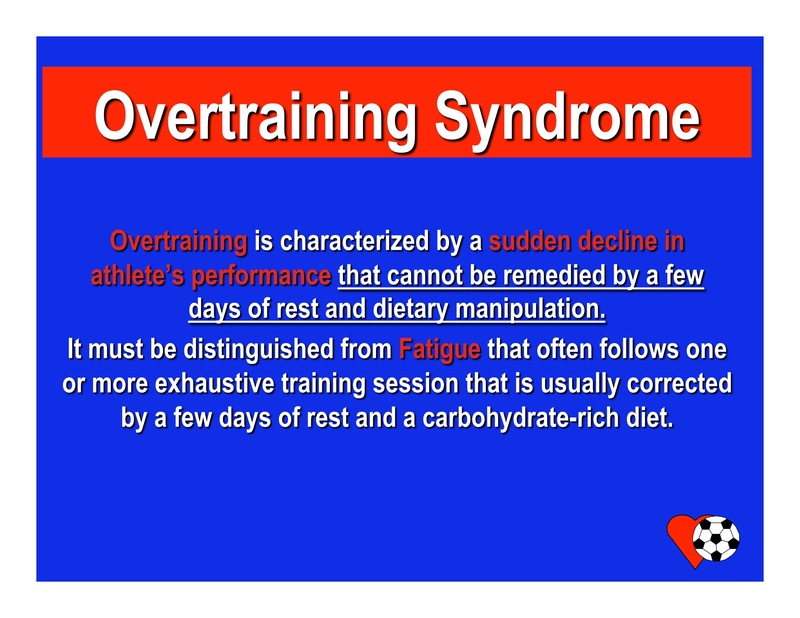 Monitor your athletes for signs of overtraining. 3. Be aware of the additive effects of academic stress to the overall training load. Season Long Mental Training for Your Squash Team! 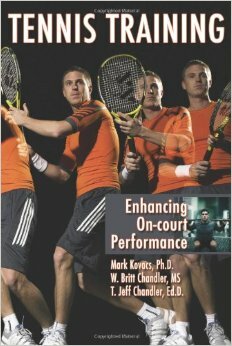 Most squash coaches need help in the area of “squash psychology” . Enter these terms into the search box, and your result with feature most of the posts on this topic, sorted according to reverse chronological order. Here is a link to the result of that search. If you are looking for a fairly broad category of posts, clicking on the “Categories” link to the appropriate topic in the sidebar with produce all of the blog posts that I have assigned to that category, in reverse chronological order. Often the same post might be assigned to two categories – for example a post of focus plans might be assigned to both “Mental-Psychology” and “Tactics” since focus plans are composed of both tactical and mental reminders. Here is a link to the result of hitting the “Mental-Psychology” category link. Meeting #1: Ideal Performance State for Squash. I often try and include video in most posts – but sometimes I have videos on the Squash Science YouTube Channel which are not mentioned on this blog – so sometimes another source for squash science information for squash coaches. Although squash is played in 153 countries around the world, it is not as well developed as some of the world’s more popular or richer sports like soccer or tennis. A small, well organized group of dedicated squash coaches (e.g. currently the Egyptians) can develop world class players, and even a world champion. If we look at the recent history of the squash world rankings, we can see that there is quite a bit of movement near the top of the rankings on both the men’s and women’s side in terms of the players’ nationality. We also see a lot of successful solo efforts that cross national boundaries such as Liz Irving’s (Australia) coaching of Nicol David (Malaysia). In terms of sheer numbers in the top 100, the English dominate simply because of greater numbers and government related money that is put into player development (more than any other country). You can read this post to explore the economics of developing champions.